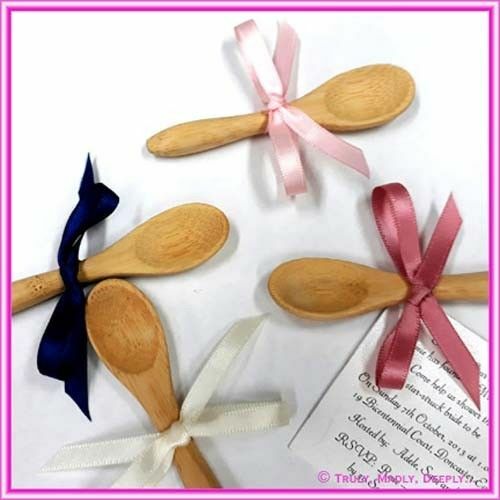 These mini bamboo spoons are hard to find, but make a wonderful kitchen tea invitation. They are made with real bamboo and are sourced as a Canape Serving item. 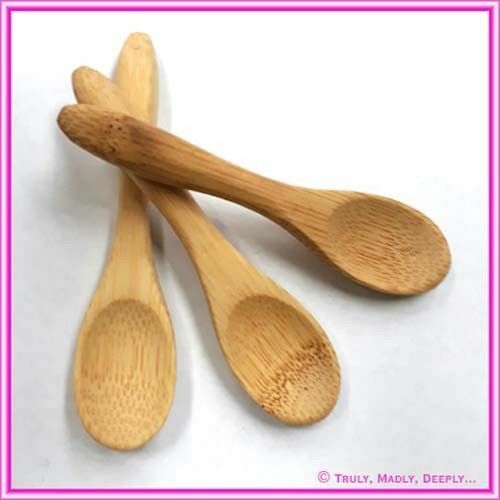 They are supplied in their natural unpainted wood finish. The width of the spoon is approx. 2cm wide and they are approx. 9cm in length. This one looks wonderful with a small bow and invitation card attached! Price is for the undecorated item / spoon only. Any accessories, decorations, ribbons or printed cards are sold separately.